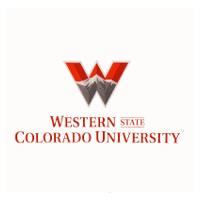 2016 Jack Mountain Alumni Snowshoe Expedition: 45 Days, 250+ Miles. 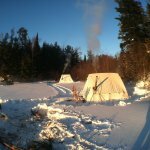 This year the Jack Mountain Alumni Winter Expedition, assailed by the memories of the 2014 Boundary Waters trip, heads back to the frozen country of northern Minnesota with a new set of goals, higher ambitions and substantially more bacon than last time. Our most ambitious winter trip yet, the Race to the Lake will cover more that 250 miles in 45 days across some of the coldest and most remote wilderness in the lower 48. Just like our last winter expedition, we will be relying on our own power to pull the gear laden toboggans across the frozen landscape. 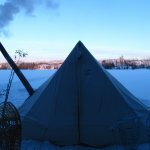 We will be taking a mix of traditional winter travel gear like a canvas tent, wood stove, ice chisels, axes and a mix of wool and fur to stay warm along with modern gear like solar power units, down sleeping bags and plastic toboggans. Add to the mix over 750,000 calories worth of food, a few good books and some of the most stunning scenery you can find these days. – Safe axe, knife and saw use as well as fire wood selection, tree felling and splitting experience. We will be days from anything resembling advanced life support so an axe wound that might just lay you up for a week at home could be game over out on the ice. Cold weather increases the risk of using sharp edged tools as hands get numb quickly and coordination drops with the thermometer. Those tools will be used everyday to provide the fuel to keep our tents warm at night, to boil water for drinking, to cook our food and dry out our gear. – Mastery of all essential bush knots. Whether setting up the tents or lashing gear to our toboggans, we will be using a variety of lashing, anchoring and tightening knots throughout the day every day. If you can’t tie a clean non-inverting slippery bowline after numbing your hands in ice for a few minutes, keep practicing. – Map reading and route finding with map and compass. 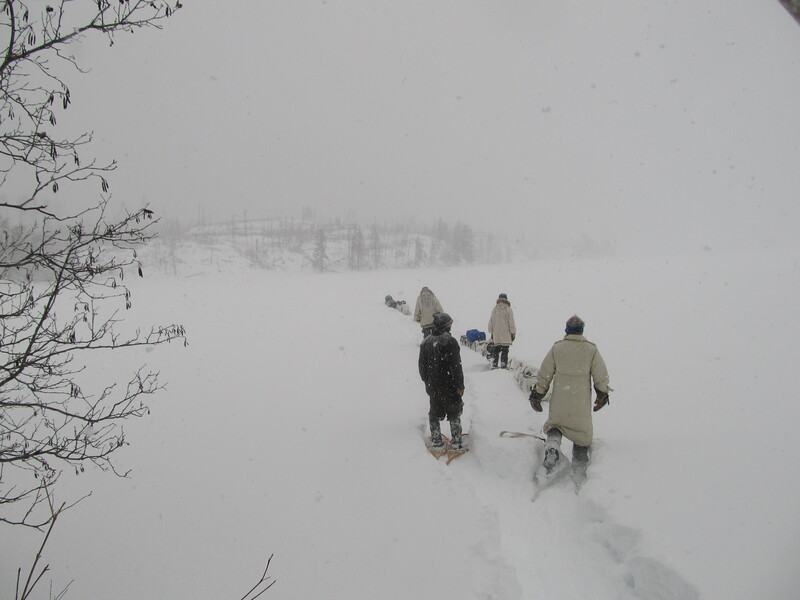 The Boundary Waters is a maze of ice, snow and trees in the winter without many landmarks to key you into your location. 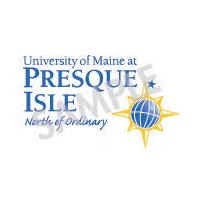 Being able to confidently use a map and a compass is fundamental to safe winter travel. 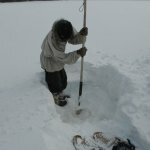 – Understanding of human physiology in the winter. If you don’t know how to dress in the winter you are a tourist in the backcountry and this is no trip for tourists. This means being able to select appropriate footwear for wet and dry cold weather and also knowing how to protect your face, fingers and toes from frostbite. Also, you must have a working knowledge of caloric needs, hydration and food planning for this type of expedition. 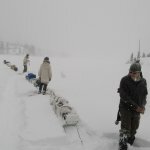 – Winter travel demands knowledge of ice, snow and water as well as how ice forms, what causes ice to stay thin and how to read the lake ice for safe travel. Any lapse in knowledge or judgment out there could send you through the ice. – Group dynamics are make or break with this type of trip so everyone needs to understand the soft skills of expedition behavior like risk management, group processing, and conflict resolution. This is not the realm of the type A personality, we are a team and our ability to work together and share a tent for over a month is arguably the greatest challenge we’ll face. – Finally, you must know yourself. We all have limits and this is not the place to intentionally push any of those limits to unknown extremes. While we will be pushing ourselves, it is within the knowledge of how our bodies work, how they react to extreme work loads in cold weather, how much water they need, how much food they need and how much work they’ll take before things starting breaking. If you don’t yourself, this is not the place to find out. 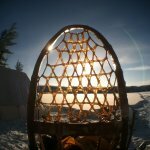 This trip is available to any Jack Mountain alumni who has completed both a Wilderness Bushcraft Semester and also the Boreal Snowshoe Expedition. Size is limited to 3 people. Before you contact us, ask yourself if you have it in you physically and mentally to man-haul loaded sleds for days on end in temperatures dropping to -50. This expedition is only for the fit of heart, muscles and mind. We are planning on hitting the trail the end of January (depending on weather and conditions) and will be on trail until the first week of March. 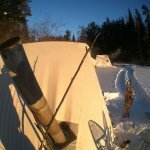 We will meet at my cabin in Wisconsin a week before we head on trail to shake down our gear and pack food. We will be splitting up the trip planning- food and gear preparation, based on personal interest and resources available. Everyone is expected to bring all their own gear except for group gear. All inquiries should be directed to Paul Sveum at paul.sveum@jackmtn.com. This is not a first come first serve, I will be talking to those interested all fall until the space is full. 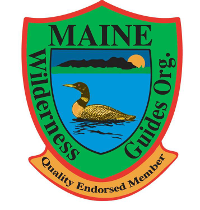 Previous: Congratulations to the newest Registered Maine Guide, Benjamin Spencer!